This New Year’s Eve, go wild for one night of pure, unadulterated pop pleasure. This New Year’s Eve, give in to your deepest desires and go wild for one night of pure, unadulterated pop pleasure. Colston Hall has teamed up with the ever-fabulous Guilty Pleasures for an unforgettable party experience. 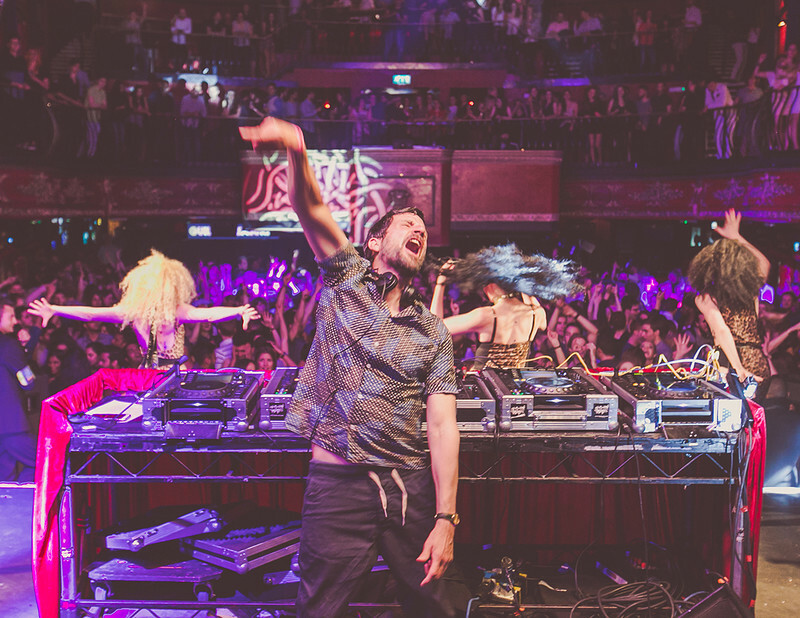 Glitzy, immersive and unapologetically fun, get ready to worship at the altar of pop bangers as top Guilty Pleasure DJs and performers take over the Colston Hall foyer. Dress to impress and give yourself over to mega sing-a-longs, the sassiest dance moves and a rainbow of irresistible pop belters. Your dance floor needs you. The hits keep coming when the New York Brass Band take to the stage for a live set. They might hail from North Yorkshire but this “must-see, genre-splitting band” (The Guardian) are the kings and queens of stateside-flavoured brass tomfoolery. With an arsenal of jazz, pop, reggae, funk and ska at their disposal, we challenge you not to strut your stuff. Leave your inhibitions at the door and kick off your new year at Bristol’s ultimate feel-good party.